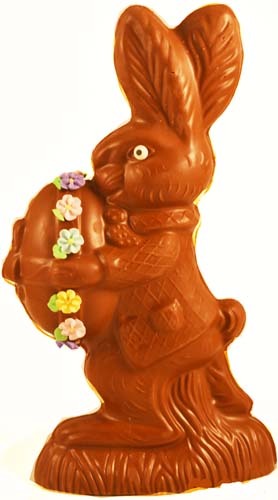 This adorable bunny comes hopping along with an egg gift to offer. Solid pure, Swiss chocolate. From Anonymous of Pittsburgh , Pennsylvania on 4/20/2017 .